We have been in Northern VA for the weekend (I don't think I've mentioned it before here, but that's where I grew up) visiting with family. We got to meet our newest niece, and my heart has been full watching R interact with all of her cousins. There is something nostalgic about it that reminds me of my childhood and the great memories I have with my own cousins. It's the same way I approach decorating her room.....it takes me back and I start imagining what I would have loved as a little girl. 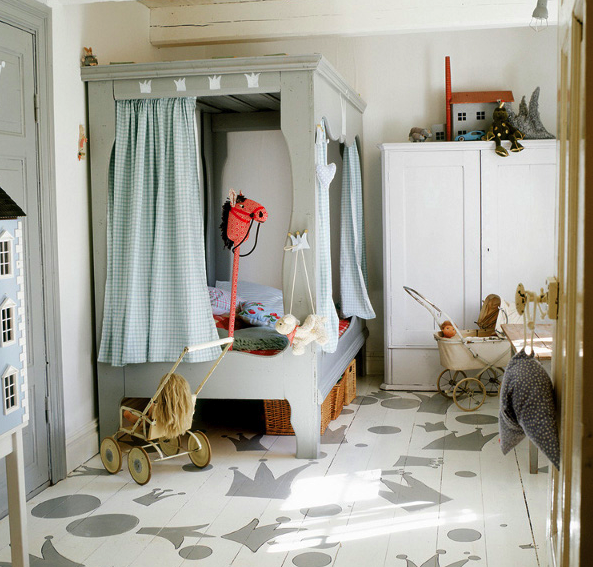 Before R came along, I don't think I knew that a nursery/children's room could be so fun to design. 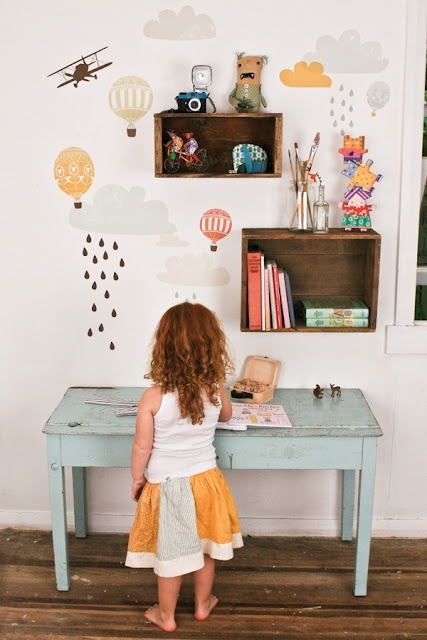 I'm already scheming about her big girl room (and that's not going to be for a while!). It's a space to have fun, to learn, and to encourage the imagination/creativity. 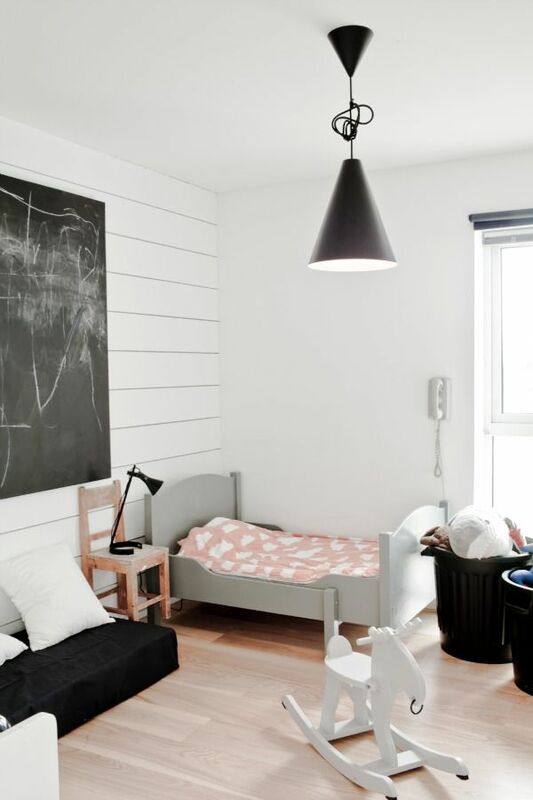 With that in mind, a children's room should be anything but cookie cutter. 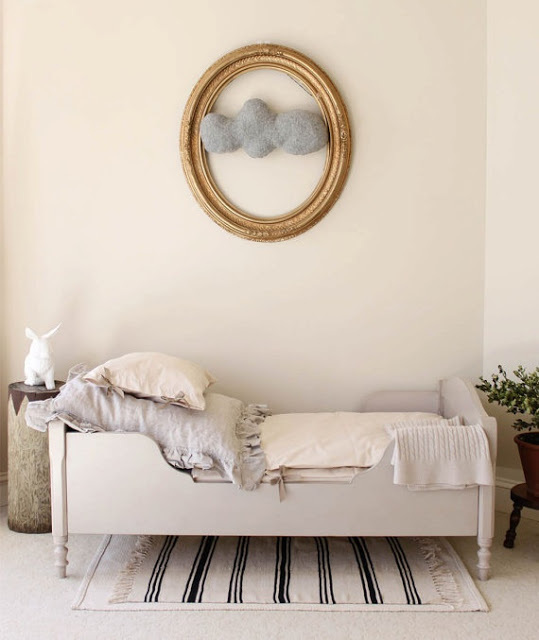 I love how sweet and unique these four rooms are, and each with a touch of whimsy.